Is it the feel of the fiber in my hands? The mystery of changing it from locks to roving to squooshy, loveable yarn? Is it the myriad colors, whether shiny or matte or dull or sparkly? Is it the history – centuries of it before me, tying me to people in other places and times, making yarn of necessity or desire, or that magic mix of the two? I really don’t know. It just resonates with me. It feels as though it comes from a deep place inside me. Sometimes, getting the idea in my head out into tangible examples is excruciating. Sometimes I get depressed and feel hopelessly slow and incapable. 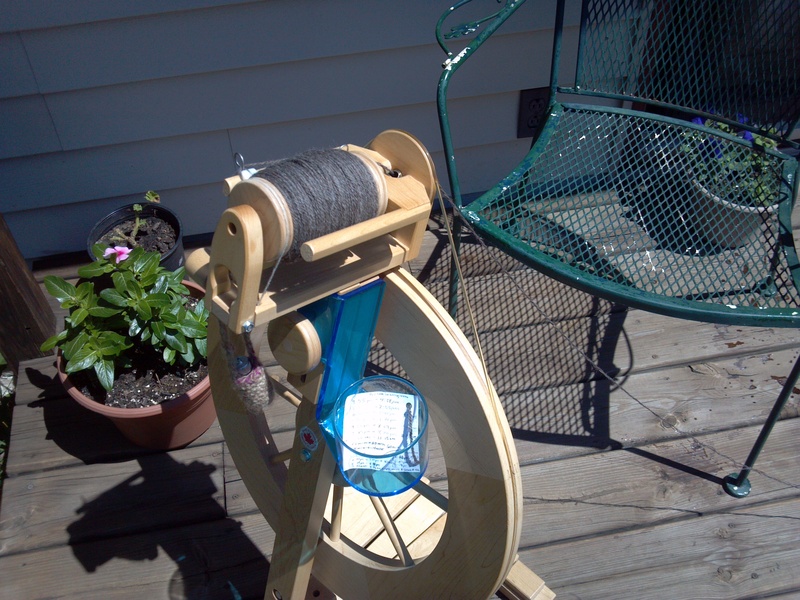 But when that yarn of my dreams appears, a joint effort of my hands and wheel (or spindle), I fall in love with spinning all over again. And I know in my heart of hearts why I do it, though I still can’t put it succinctly into words.